Transwest RV in Belton, MO is selling Green Mountain Pellet Grills for cheap! Is yours a Daniel Boone or Jim Bowie. Hard to tell in that photo. Those prices are great! Do they have the non wifi verions as well? Actually selling one of mine today. It's a original Good One Open Range. Hell of a smoker, just don't use it as much as I should. Going to pick up a pellet for ease of use. I'm not sure if they do or not. Thanks. Ended up going over today and buying the last 3 they had. Smoking deal. Many thanks for the heads up! Speaking of, I was reading on a GMG Facebook group. 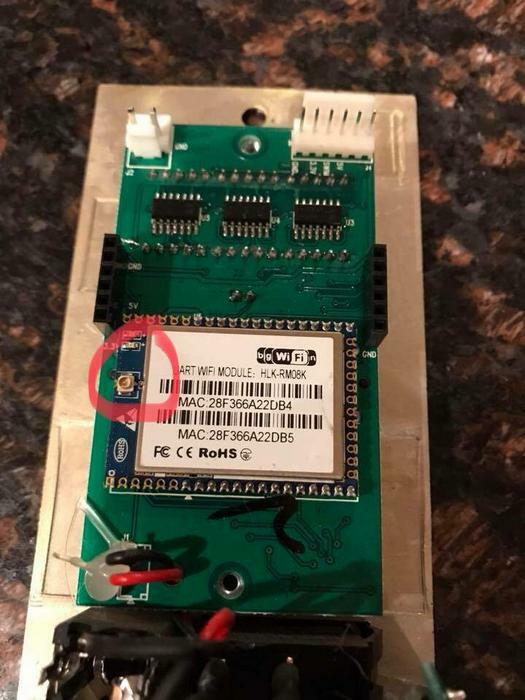 Apparently GMG put the same control board in the non wifi models as they did in the wifi models and people figured out that you can just add an antenna to the non wifi grills and upgrade the firmware and you have a wifi model. I looked last night and what do I see? Ordered a WIFI antenna and will now have a WIFI grill. I'm interested to see how this works out. The one for my dad is not a wifi model. I'd be interested in updating it. Keep us posted! It's confirmed working. If it's a non wifi model that was just recently bought they don't have the wifi chip anymore as GMG realized people knew how to do it. Good info to know. These looks to be manufactured in April of 17 so I'll give it a look. Thanks! Oh nice, you might be in luck. I think mine was Manufactured in 9/16. A little update. I've used the new Green Mountain 3 times now. 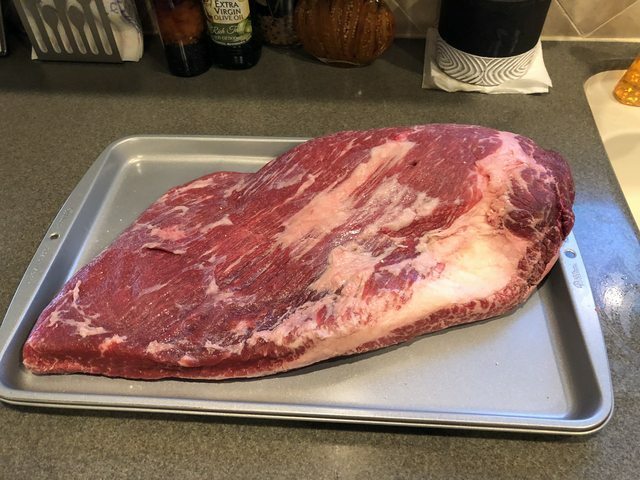 Did ribs and pulled pork, a couple of whole chickens and a packer brisket. 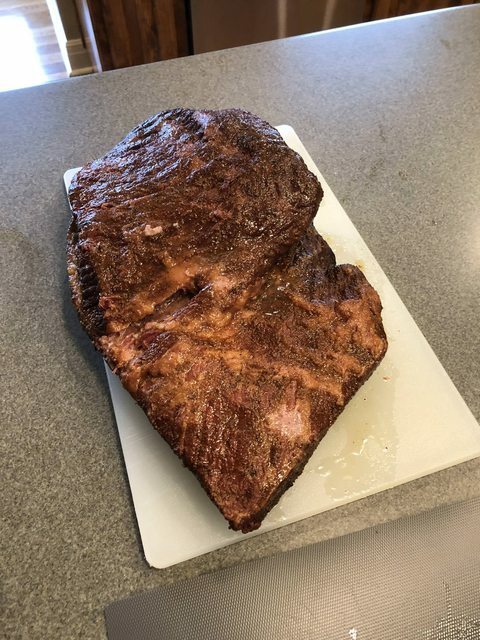 The brisket was by far my favorite. 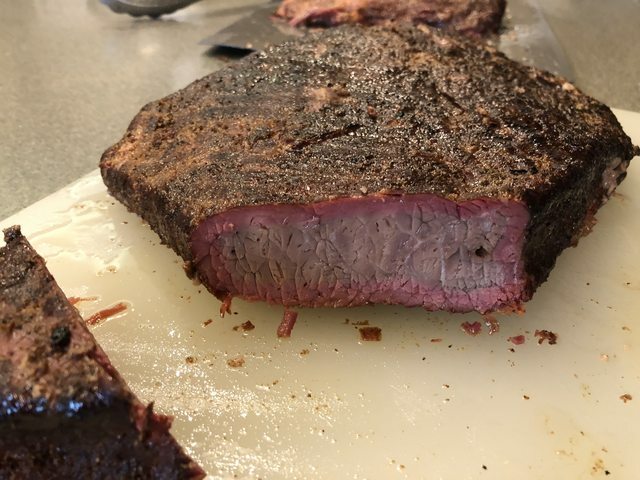 Loads of moisture and perfect amount of smoke. 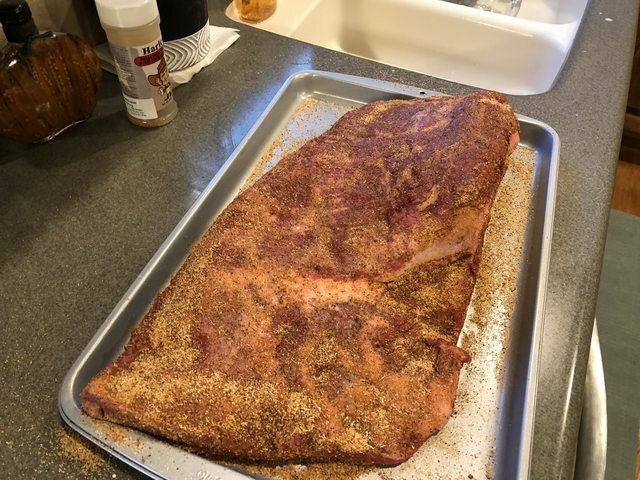 Since the pellets don't produce a lot of smoke, I did the first hour at 150° to help out with smoke. Smoking tubes or trays are also handy for cold smoking things like cheese and fish as long as your grill/smoker is sufficiently sealed. Thinking about giving this a try. Does anyone know if they put smokers on sale at the end of the season? If not, does anyone know if I can find one close to the deal mentioned further up in the thread? I am interested in a Daniel Boone or Jim Bowie with WIFI. I have not seen those deals before. Close, but not that low. I think that local place was just getting rid of their stock. anybody have any experience or know someone with a GrillaGrills Silverbac? Green Mountain has a few Facebook Fan groups. They say the Black Friday deals were pretty good, and they started early. I like my Daniel Boone, but I am thinking about getting a shelf.